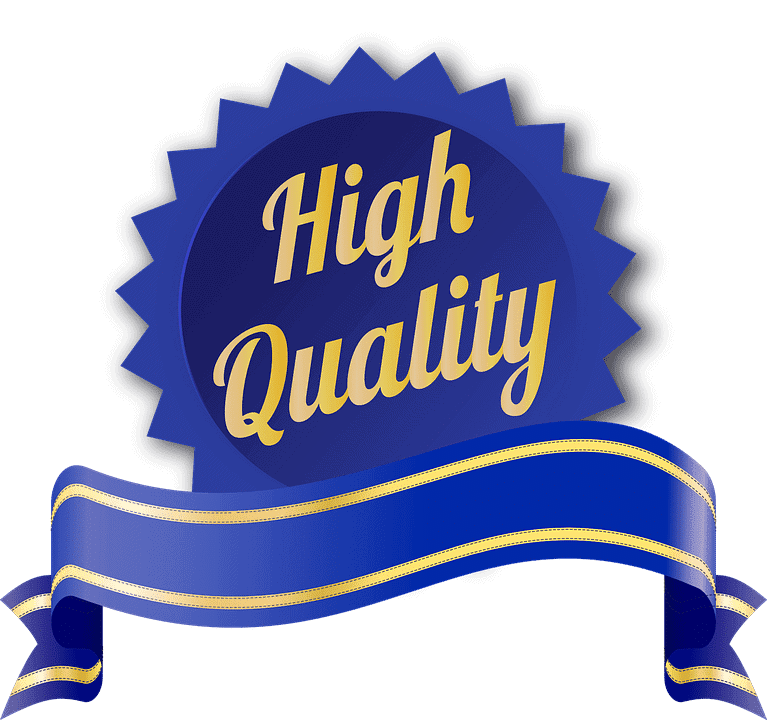 Every property owner has to at some point considered investing in quality HVAC equipment. It is a decision that is only made once every few decades. This level of long-term commitment can have consumers feeling lost in a sea of options. Ameristar is a household name that has been in business for over a century. This article will talk about the pros and cons of buying an Ameristar brand furnace or heat pump. Ameristar holds the reputation for being one of the most affordable and reliable companies to deliver HVAC systems. A brand supported by the parent company Ingersoll Rand, Ameristar is the budget version of Trane, also owned and operated by the same parent company. This gives a clear indication of the high level of quality, despite the affordable price. Ameristar features an impressively comprehensive range of budget HVAC systems which suit a variety of climates. Products include air conditioning systems, heat pumps, and two-in-one solutions for temperate climates that fluctuate throughout the seasons. Their products are suitable for both gas and electric homes while boasting compact footprints. This compact footprint means little disturbance in the home, making their products suitable for those with smaller houses or apartments. With anti-rust technology and a 5-year base warranty, investing in Ameristar HVAC products demonstrates the epitome of good value. While most budget-friendly products tend to utilize cheap parts, Ameristar prides itself on the internal scroll compressors that dominate their technology. Compared to other companies that market low prices, Ameristar's scroll compressor technology outstrips the capability of other conventional compressors. Not only are their scroll compressors far more energy-efficient than most other technologies, their smooth running makes them extremely quiet, therefore negating the chance of disturbance in the home. When it comes to energy efficiency in particular, it is not uncommon for budget HVAC systems to fall short in this arena. This often negates their low cost as homeowners are forced to pay high energy bills. However, Ameristar has managed to develop products with excellent seasonal energy efficiency ratios (SEER). Where standard energy efficiency is scored at 13, Ameristar offers products that match or surpass this capability. For example, Ameristar's ductless systems come with a 15 SEER rating as standard, but are available with a rating up to 22 SEER. Equally, Ameristar furnaces, which can work with either propane or natural gas have an Annual Fuel Use Efficiency (AFUE) of 95% compared to the standard efficiency of 79%. This not only provides a cost-effective option for purchasing the HVAC hardware, but also reduces energy outgoings throughout its lifetime. In terms of peace of mind, Ameristar HVAC products come with incredible warranty programs. All products come with a 5-year base warranty, with a 10-year limited parts warranty if registered within 60 days of installation. On top of this, their furnaces come with a 20-year limited heat exchange warranty if registered within the 60-day period. One glaring problem with Ameristar products in terms of budget-consciousness is that while the parts may be under warranty, the Freon and labor repair costs are not. This means that when problems arise, customers often report having to pay between $800 and $1100 in labor to repair the issue. It is important to note, however, that poor installation can sometimes be the cause of these issues. The second issue is that the parts are made in China and are therefore difficult to acquire or may take a long time to deliver. In general, problems with HVAC systems are noticed when they need to be used. So waiting 3-4 weeks for replacement parts can be disrupting. 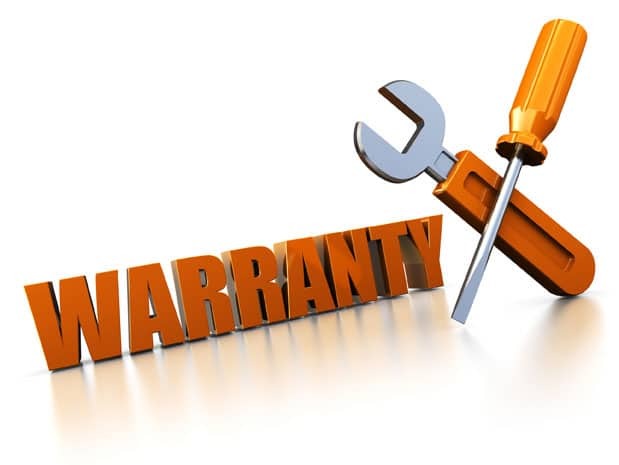 While there is a warranty on the parts, customers have complained that this warranty exists to cover the lack of reliability, with furnaces and heat pumps in particular failing after 18 months to 2 years. 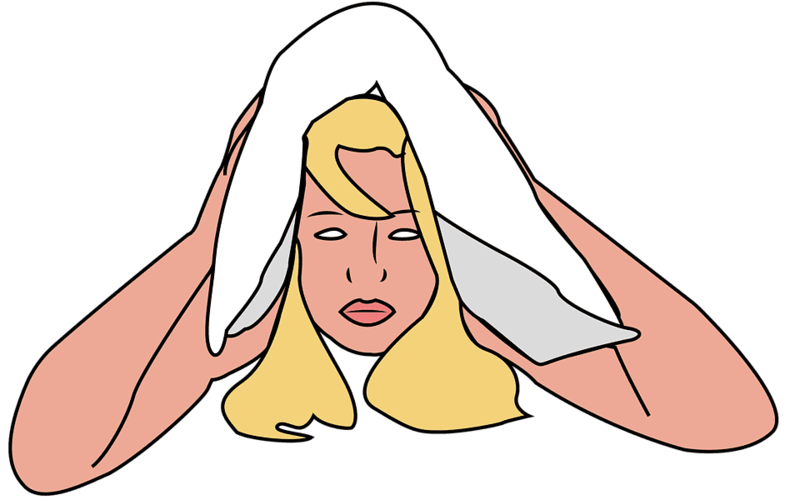 Lastly, while the products themselves are quiet when operating, the shutdown fan in their furnaces tends to make a loud moaning noise for 3-7 seconds. While this may seem like a fixable issue, this is standard for their furnace products. Many customers find this disturbs their peace. Ameristar's air conditioners boast up to 14 SEER in energy efficiency. Made from painted, galvanized steel, they provide decent longevity with this anti-rust technology. 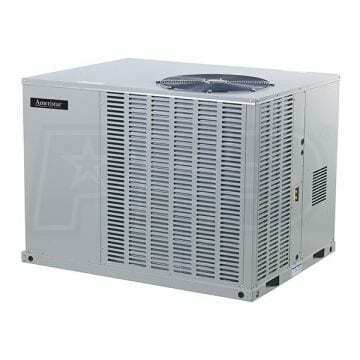 Using a scroll compressor, Ameristar air conditioners are quiet and smooth-running. They are compact and robust, taking up little room in the yard or on a balcony. One of the most popular models is the M4AC4024A1000AA, which takes up only 25x23x23 inches and weighs 2 tons. The sound rates at around 74 decibels, which is equivalent to an industrial fan. Ameristar heat pumps are excellent for milder climates. It draws from the ground or the air to keep a consistent, comfortable temperature in the home by both heating and cooling. 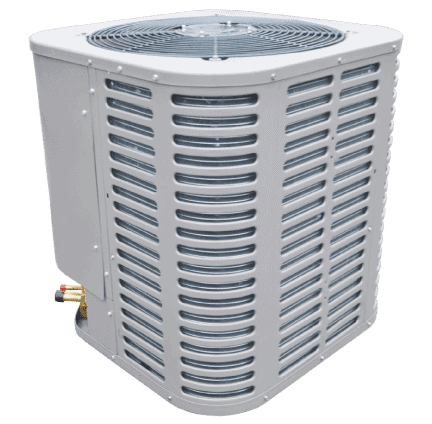 Made from the same rust-resistant galvanized steel, these heat pumps are equally hardy while still only take up very little room. The M4HP4018A1000AA model is one of the most highly recommended. The smallest model has a 14 SEER rating, takes up 25x28x28 inches and only weighs 1.5 tons. When considering a furnace, Ameristar's furnaces are impressively efficient. They pride themselves on a 95% AFUE rating. Furthermore, Ameristar offers both natural gas and propane furnaces. The heat exchangers, which have an optional 20-year warranty, are made from aluminized steel. This makes them both durable and efficient conductors of heat. 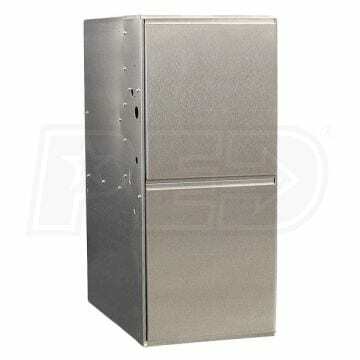 The furnace cabinets are constructed from galvanized steel to prevent rust and to increase hardiness. 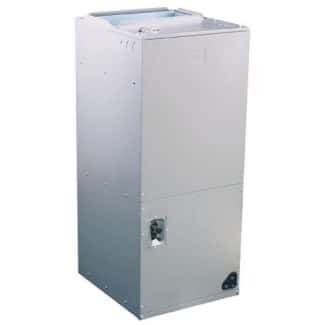 Furnaces are available both as single-stage models and variable speed models. The M951P040BU24AAA is an incredible compact option for those on a tight budget. Thishighly-efficientmodel produces 40,000 BTU/hour. For those looking for a simple year-round answer, Ameristar packaged units offer a two-in-one solution. Available both in a gas/electric option or as a heat pump option, the high efficiency of the compressor ensures that energy bills are kept to a minimum. Ameristar packaged units are architecturally designed to reduce their footprint in the household, while remaining robust throughout the years on account of their anti-rust technology employed through the use of galvanized steel. While the units can come with either rotary or scrolled compressors, the better scrolled compressor technology is harnessed in the M4PH3036A1000AA model. This model works with a heat pump and has an excellent BTU rating of only 35,420, showcasing its extraordinary efficiency for such a budget-friendly double package of heating and cooling. Alternatively, for those looking at a gas/electric packaged unit, the M4PG3036A1064AA is a great model to choose. Slightly larger, it measures 41x45x57 inches. Gas/electric packaged units tend to be slightly less energy-efficient in the winter. This model has a 60,000 BTU rating. This models SEER rating sits at 13. When looking for ductless systems for those without central heating configurations in their houses, Ameristar provide extremely efficient and affordable options. They can be used in houses without duct systems or for zones within those buildings which are not reachable by the ducts, such as garages. While there are both single and multi-zone 15 SEER options, providing outstanding energy efficiency, the most impressive model is the 22 SEER model. This 115-volt model provides a low-cost heating and cooling system. Ameristar air handlers will help to circulates air around the home. This makes them an integral part of an energy-efficient system that provides an even spread across the home. Ameristar air handlers feature painted, galvanized steel insulated casings that prevent rust and reduce the noise output. Featuring three fan speeds, the M4AH4025A1000AA model weighs only 2 tons and measures only 46.5x20x22inches. 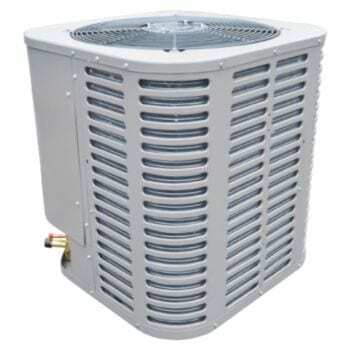 To find the best prices on HVAC units, particularly Ameristar units, looking on depot websites will help you to find great deals at discounted rates. In particular, websites like New AC Depot and CFM equipment will provide these low prices. However, in order to get the best from your Ameristar HVAC products, they must be installed by a high-quality HVAC installer or contractor. Finding a local installer will help to reduce the costs, but ensure that they have either specific Ameristar training or training with Trane products. Trane has the same parent company and therefore the components and installation are extremely similar. Moreover, while buying HVAC products online may reduce the cost, a licensed HVAC professional trained in Ameristar products will be more qualified to outline exactly what you require, providing you with the most efficient and cost-effective solution. Otherwise, you may find yourself buying components that appear cheap but do not make sense for your household requirements. For those worried about budgeting, it is important to make yourself aware of the tax credits system. Tax credits are assigned to help those with lower incomes be able to afford HVAC systems from their home. For air-source heat pumps, a tax credits allowance of $300 is given to low-income households, while $300 is given for central air conditioning and $150 for furnaces. The information regarding this and the stipulations of the HVAC systems this applies to can be found on the Energy Star government website. Ameristar was formed by Ingersoll Rand, a Dublin-based billion-dollar company. Ingersoll Rand was originally formed in 1905 from Ingersoll-Sergeant Drill Company and Rand Drill Company merging. These two companies had formerly been rivals, individually formed in 1871. They now stand as a top global diversified industrial manufacturer. Despite Ameristar’s Irish heritage, Ameristar furnaces are made in Trenton, NJ using the same standard process and design as Trane furnaces. 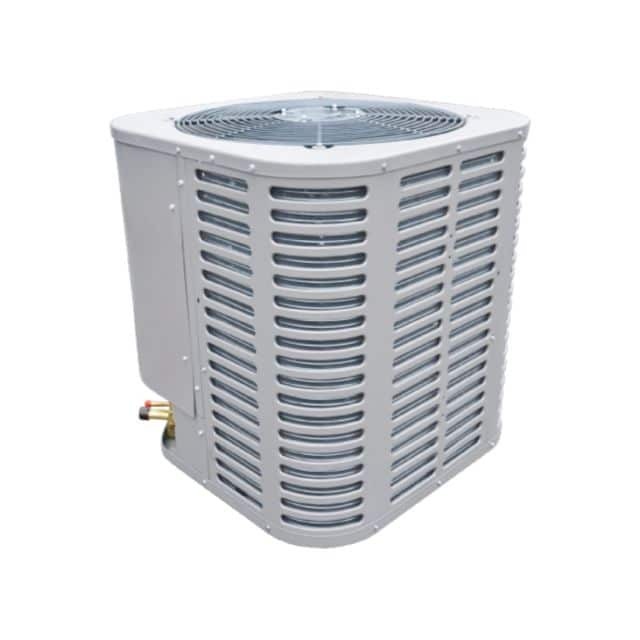 The rest of Ameristar’s product line is produced in China, that includes their heat pumps and A/C units. They also have a US operational headquarters in Davidson, North Carolina. Ameristar is an excellent choice for those looking for budget-friendly HVAC systems. Not only are they initially low-cost, they provide competitive energy efficiency to keep the resulting energy bills low. While they cost a similar amount to install and repair as other systems, they are generally reliable and appear to be a solid choice, especially for those looking to use tax credits.